Everything changed for Karissa Wood, her mother Kristin, and four siblings on that Monday morning in 2001 when her father unleashed an outburst more violent than the family had ever experienced before. 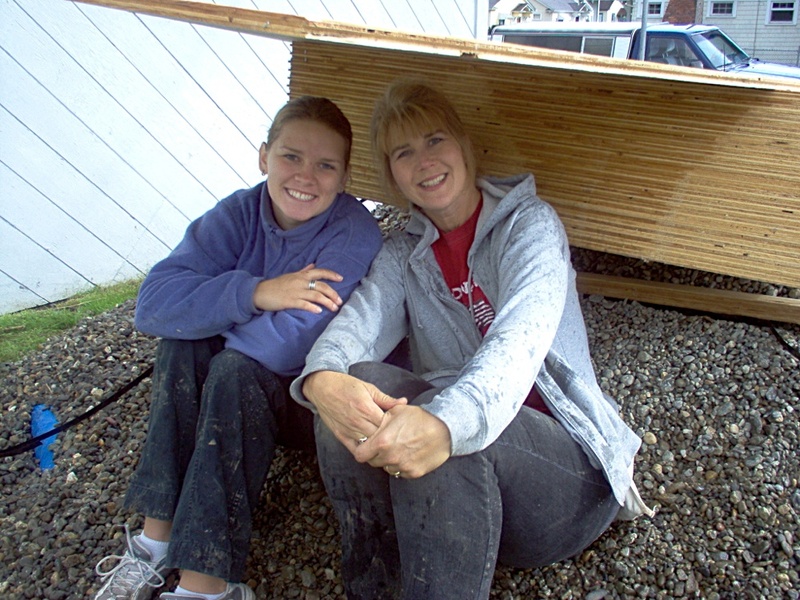 Before that day, Karissa lived aboard on a boat with her Christian missionary parents and four siblings. She had the life most children dream of: spending her free time swimming and snorkeling in tropical waters while being homeschooled. “To the outside world, we were like Swiss Family Robinson,” Karissa said. But behind closed doors and in isolation out at sea, Karissa’s father terrorized the family physically and emotionally. Within a matter of hours, the Wood family went from escaping in a dinghy to safety on the shores of Hawaii to stepping off a plane into Seattle with only the clothes on their backs. Karissa and her family stayed with her grandparents in Seattle following the move. Her mother worked diligently to build a new life for her family working two jobs and attending college classes at night. Still, the prospect of being able to afford a home to accommodate her big family was out of reach. 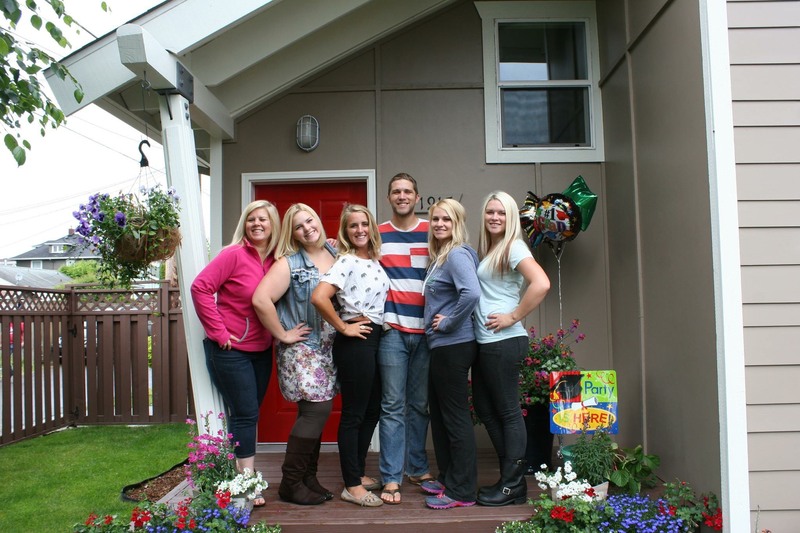 A year after arriving to Seattle, Karissa’s mother applied to be a Habitat Snohomish homeowner. On Thanksgiving Day, the family received the good news that they were selected for a home in Everett. 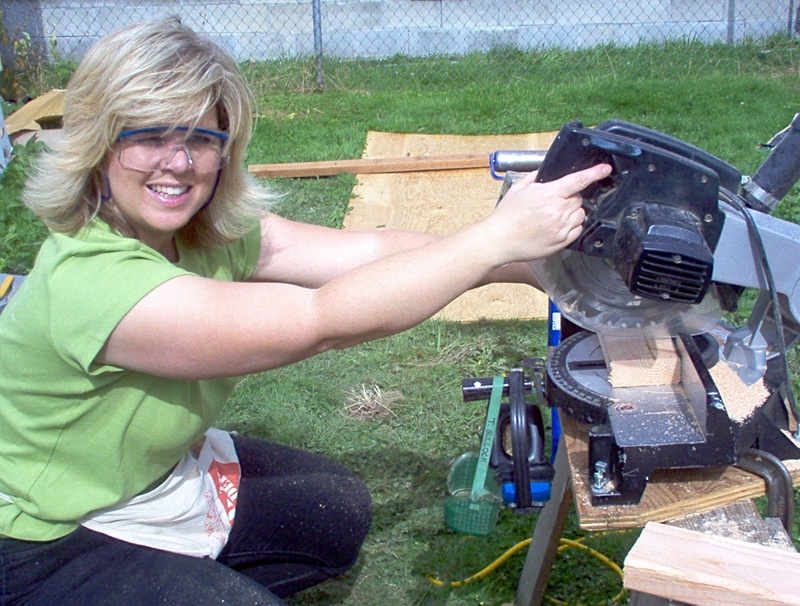 Kristin Wood cuts some 2x4s on her new home build. Kerri & Karissa on site. Karissa’s mother went on to earn her master’s degree and accepted at a position with Boeing where she still works as a Senior Project Manager today. Karissa went on to graduate from culinary school and is currently employed by Amazon. She also serves as a volunteer firefighter and paramedic and is the Vice President of the Bainbridge Island Volunteer Firefighters Association. The 4 other Wood children are happily pursuing their goals and passions. The Wood family in 2014.